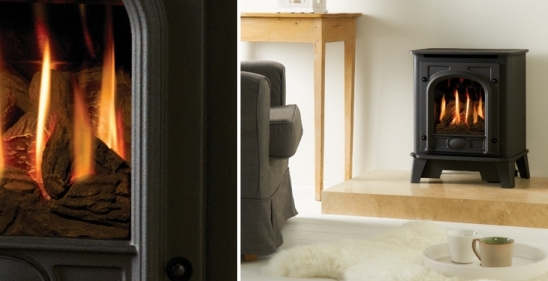 Using cast iron for the door and heavy gauge steel for the body, the Gas Stockton stoves combine simple, authentic stove styling with Gazco’s latest living flame technology. This means you can enjoy an unrivalled coal or log effect fire with heating performance that will keep your room cosy on cold winter evenings. In fact, you won’t even have to move from your chair if you opt for one of our remote controls!